This page explains how to use a robot other than ServiceBot in ServiceSim. Follow the install from source instructions on the Installation page. 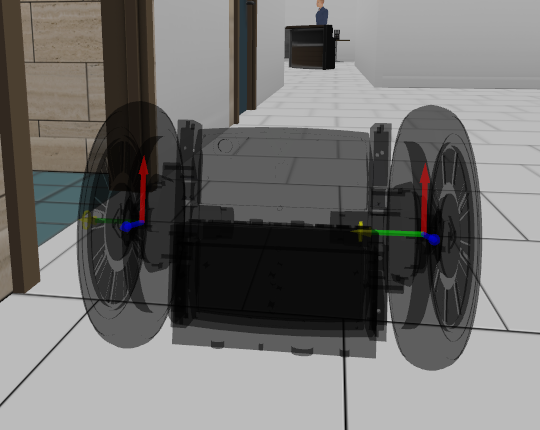 Choose the robot you want to use, in our example we'll use the Segway RMP210. You can follow the instructions on the Walkthrough page and check that the competition logic is working. Since this example doesn't load any controllers for the robot, this can be tested in "god mode" by teleporting the robot inside Gazebo. Try using the command line to ask for a new task, pick-up and drop the guest. 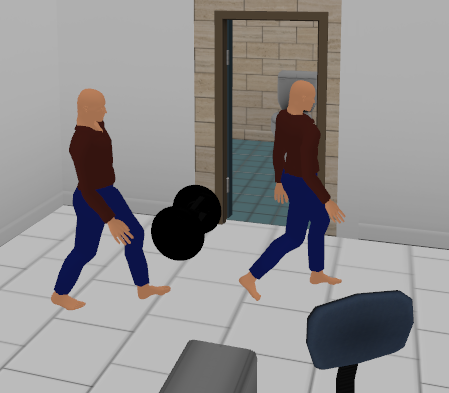 You can see that the Segway is called servicebot in the simulation. If it's desired to change the robot's name, you can change the robot: name property on the config.yaml file and then generate a custom scenario as described on the Scenario generation page.